South Carolina physician/author Brittany Henderson, MD earned her medical degree with honors from Northeastern Ohio Medical University and enhanced that experience with an endocrinology fellowship at Duke University Medical Center. She became Medical Director for the Thyroid and Endocrine Tumor Board at Duke University Medical Center, following which she served as Clinical Director for the Thyroid and Endocrine Neoplasia Clinic at Wake Forest University Baptist Medical Center. 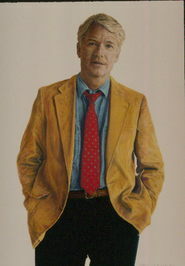 Dr. Henderson is board-certified in Internal Medicine and Endocrinology. Her current clinical practice, the Charleston Thyroid Center, is dedicated to patients with thyroid disease and thyroid cancer. She lives in Charleston, South Carolina. Co-author Allison Futterman earned her Bachelor’s degree in communications from Hofstra University and her master’s degree in criminal justice from UNC Charlotte. This fine pair – the doctor and the patient – have created a book that fills a gap in the full understanding of Hashimoto’s Disease from two stances. By introducing the combination of medical science with patient response this fine book has finally presented the facts, the history, the diagnostic aspects, the treatment functions and the preventative concepts of thyroid function and disease. 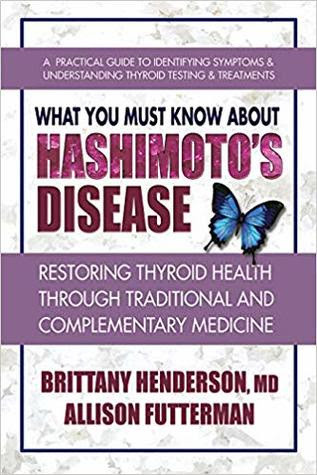 It serves as a practical and applicable guide to identifying the symptoms and the tests for and treatments of the most significant state of thyroid dysfunction – Hashimoto’s Disease, an autoimmune disease that results in hypothyroidism. As described in this book patients with this disease suffer with fatigue, muscle and joint pain, weight gain, headaches, hair loss, and throat/neck pain, and more. Dr. Henderson explains the function of the normal thyroid and the various forms of dysfunction of that important gland, explains the manner in which the diseases are diagnosed, and finally the treatment and management of the hypothyroidism Hashimoto’s Disease produces. The facts are clearly explained with a fine set of responses from Allison as to how patients react and how to detect responses of the various medications meant to correct Hashimoto’s disease. The book is at once thorough and complete yet offered in a completely accessible manner. The result? An indispensible Guide for patients with the disease – and for families of patients – and for the general populace who seek to understand their body functions and prevent illness. Recommended.